As New York Fashion Week enters its final stretch, there are still surprises left: Whether through models in garden-party mode at Thom Browne or rows of silver eyebrow rings at Rodarte, moments of unexpected drama found their way onto the runway. 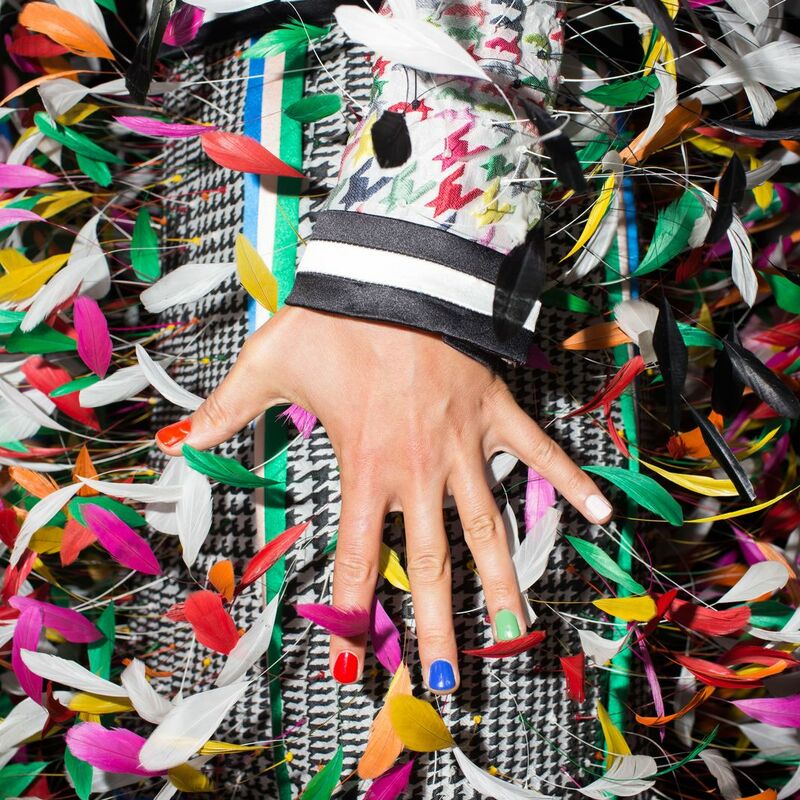 Landon Nordeman captured the scene backstage at Marc by Marc Jacobs, Carolina Herrera, J.Crew, Tory Burch, and more — click through the slideshow to see it all. See the full Thom Browne spring 2015 show here. See the full Rodarte spring 2015 show here. See the full Marc by Marc Jacobs spring 2015 show here. Thom Browne Photo: © Landon Nordeman, All Rights Reserved, 2014. Carolina Herrera Photo: © Landon Nordeman, All Rights Reserved, 2014. J.Crew Photo: © Landon Nordeman, All Rights Reserved, 2014. Erin Wasson at Carolina Herrera Photo: © Landon Nordeman, All Rights Reserved, 2014. Kiernan Shipka at Tory Burch Photo: © Landon Nordeman, All Rights Reserved, 2014. Tommy Hilfiger Photo: © Landon Nordeman, All Rights Reserved, 2014. Maserati and Ermenegildo Zegna Party at Industria Photo: © Landon Nordeman, All Rights Reserved, 2014. Rodarte Photo: © Landon Nordeman, All Rights Reserved, 2014. Marc by Marc Jacobs Photo: © Landon Nordeman, All Rights Reserved, 2014. 3.1 Phillip Lim Photo: © Landon Nordeman, All Rights Reserved, 2014. Tory Burch Photo: © Landon Nordeman, All Rights Reserved, 2014.